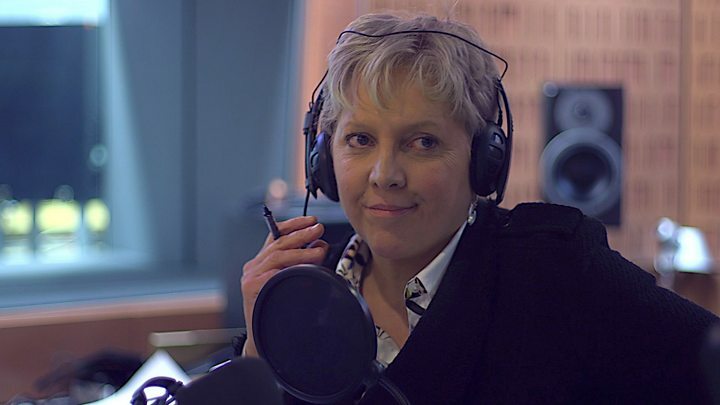 Carrie Gracie has said she resigned as the BBC's China editor because she could not "collude" in a policy of "unlawful pay discrimination". She quit, citing pay inequality with male international editors earning more than her £135,000-a-year salary. She said she had refused a £45,000 rise as it still left a "big gap" between her and her male counterparts when all she wanted was to be "made equal". The BBC said "fairness in pay" was "vital" to the corporation. BBC broadcasters including Mishal Husain, Lyse Doucet, Clare Balding, Emily Maitlis and Sarah Montague voiced their support for Ms Gracie; while Channel 4 News presenter Cathy Newman, and Labour MPs Harriet Harman and Jess Phillips and Conservative MP Nadine Dorries have also reacted positively to the move. The BBC's Europe editor Katya Adler, tweeted: "Huge loss to BBC international news. I will miss @bbccarrie by my side as only other female editor in foreign news." Many expressed their support using the hashtag #IStandWithCarrie. Meanwhile, a tweet by #BBCWomen, a group of more than 130 broadcasters and producers at the corporation, is being widely shared. Neither Ms Gracie, nor Ms Adler appeared on a list issued by the BBC last July, listing the salaries of all employees earning more than £150,000 a year. The US editor, Jon Sopel, earned £200,000-£249,999, while Middle East editor Jeremy Bowen earned £150,000-£199,999 - in Ms Gracie's words, "at least 50% more" than herself and Ms Adler. In 2009, Ms Gracie openly revealed she was paid £92,000 a year during a heated interview with Labour peer Lord Foulkes on MPs' expenses. How much do BBC stars earn? Ms Gracie told Radio 4's Woman's Hour the BBC had offered to raise her annual salary to £180,000, but she did not see that as a solution and there would still have been "a big gap between myself and my male peers". Asked whether those male workers should receive a pay cut, Ms Gracie said: "I believe in public service broadcasting and I do think salaries at the top are unacceptably high... but I don't have the information to say this needs to happen or that should happen." She added: "I could not go back to China and collude knowingly in what I consider to be unlawful pay discrimination. I could not do it, nor could I stay silent and watch the BBC perpetuate a failing pay structure by discriminating against women." Due to the BBC's impartiality rules, presenter Jane Garvey - who had tweeted support for Ms Gracie - said she was unable to conduct the interview. Instead, despite Ms Gracie being in the Woman's Hour studio, the interview was carried out by freelance journalist Jane Martinson, from a radio car. BBC guidelines dictate that reporters should should not be "exposed to conflicts of interest", and there must be "editorial separation" of those reporting the story. Earlier, co-presenting the Today programme with John Humphrys, Ms Gracie said: "The support I have had in the last few hours over this, I think it does speak to the depth of hunger for an equal, fair and transparent pay system." Influential media in China have given prominent attention to Carrie Gracie's resignation as China editor, but have made no comment on her work. Global Times and China Daily highlighted her statement that women at the BBC are generally paid significantly less than men, and broadcaster CCTV shares a picture of Ms Gracie from her Twitter page holding an #equalpayday sign. Some social media users on the popular Sina Weibo praise her for speaking out and say they "support" her. "We need to be treated equally!" says one user, receiving hundreds of likes. Some say that men and women are paid the same in China, and one blames "capitalism" on her pay. Other users give damning comments on articles she has written that they perceive to be anti-China. In an open letter issued on Sunday, Ms Gracie - who has been at the BBC for more than 30 years - accused the corporation of having a "secretive and illegal pay culture". She said she would return to her former post in the TV newsroom in London "where I expect to be paid equally". In the letter, posted on her blog, Ms Gracie - a China specialist who is fluent in Mandarin - said licence fee payers had "a right to know" the organisation was "breaking equality law and resisting pressure for a fair and transparent pay structure". "Despite the BBC's public insistence that my appointment demonstrated its commitment to gender equality, and despite my own insistence that equality was a condition of taking up the post, my managers had yet again judged that women's work was worth much less than men's." She said "patience and goodwill" among female staff was running out. 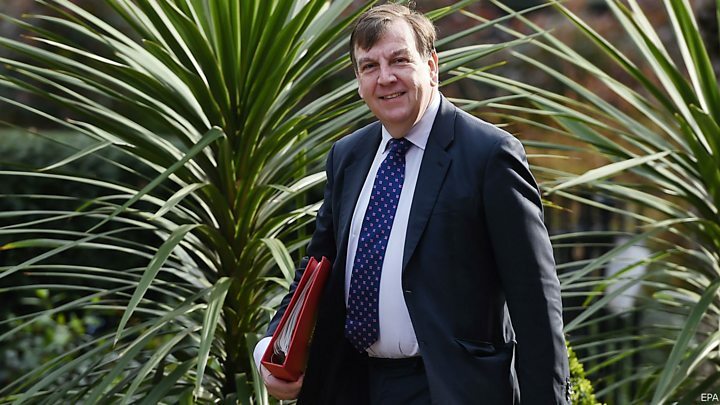 Former Culture Secretary John Whittingdale, who forced the corporation to disclose salaries above £150,000, criticised the director general Tony Hall for not resolving the "substantial difference" in men and women's pay "at the top level". He added: "It's now quite a long time since those figures came out. And nothing, as far as we're aware, has really happened since." In a statement, a BBC spokeswoman said "fairness in pay" was "vital" and the corporation would improve transparency on how pay is set. The BBC has said it hopes to close the gender pay gap by 2020, but this is different to the issue of equal pay. The gender pay gap is a measure of the difference between men's and women's average earnings in an organisation. Equal pay, as defined in the Equality Act 2010, means that men and women doing the same job should receive the same salary. A judge-led audit of equal pay among rank-and-file staff found there was "no question of any systemic gender discrimination"
A review into the BBC's approach to the pay of on-air presenters, editors and correspondents is still being carried out and will be published "in the not too distant future"
Arriving at the Golden Globes ceremony in Los Angeles, actress Emma Watson said the BBC's commitment to equal pay was "great... but we need to see them fulfil it". "What has happened with the resignation is a really good example. You have got to follow through. You have to back up what you are saying."